Uniqueworld with La Fayette Travel (France & Monaco DMC) cordially invites you to attend “Meet in France by Meedex”, a unique “Rendez-Vous” exclusively dedicated to select your next destination, venues or suppliers on the French market. Spaces are limited so to REGISTER please visit our contact page. We will arrange for your flight or Eurostar transportation in economy class and you can choose whenever you would like to leave, costs all paid for. Is this relevant to your company? Do you plan on organising an event in France? Are you considering Paris? The French Riviera? Lyon? Or are you planning to discover other amazing places such as Biarritz, Aix-les-Bains, Toulouse, Strasbourg, Lille, Nantes, Marseilles or Monaco? 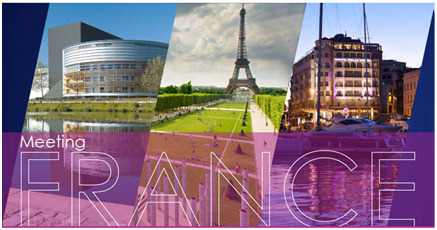 Meedex is a two-day face-to-face meetings which allows you to get in touch with the French CVBs, Hotels, Congress Centres, or airline companies that will best suit your needs and expectations. A “Meedex Night” party will take place on a yacht that will guide you through a fantastic visit of Paris over the Seine River. As numbers are limited, we invite you to submit your registration as of today. We will then send you the full programme in detail. We look forward to welcoming you to Paris.